Tony Romera, popular house music producer hailing from Lyon, France releases his new track “Hold Up” on none other than his own imprint Sans Merci. Tony Romera debuted his own imprint about a year ago with the release of Never Gave AF and since has been very selective of each release. Quality control is the name of the game and Tony Romera provides that and more with his latest single. “Hold Up” features an array of funky grooves and stellar retro synths to make a delicious feel good track just in time for the summer festivities coming up. It’s very unique and features a ton of old school elements with a modern take. Along with this release comes news that Romera will be releasing his newest EP “Foie Gras” on Tchami’s record label Confession. The EP is set to release on March 30th of this year. 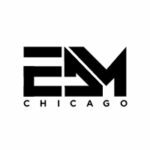 We here at EDMChicago can’t wait to hear it. In the meantime, check out this funk heavy tune.